These are fun! They are a vintage plastic disk. 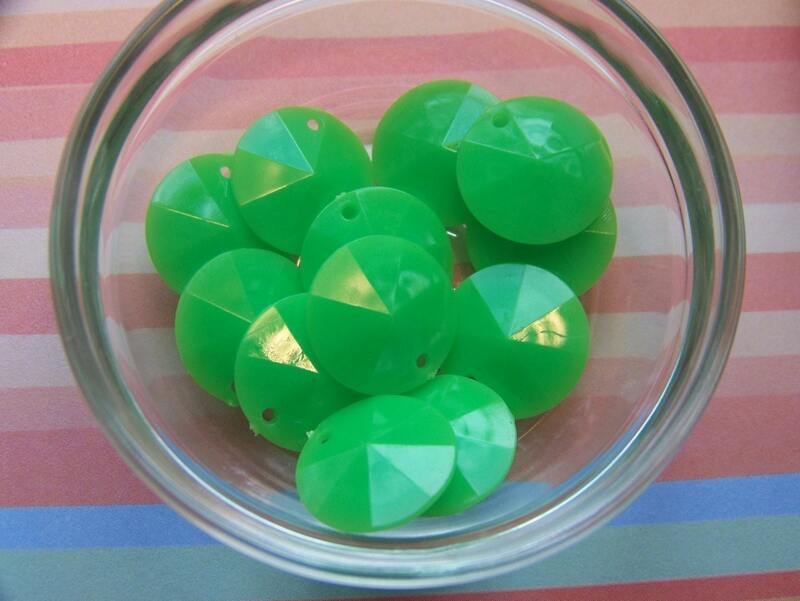 These disks have a faceted surface. These measure 15mm. You will receive 12 of these. Good communication + quick shipping = instant gratification! Thanks!